Recipe: Pepper Cheese Ball | Dinner Love. I am a vair vair bad food blogger. Keeping up with posting really shouldn’t be as difficult as I make it. I cook EVERY day. Yesterday I made some nom-tastic eggplant parm, without a recipe (which I’m still sort of amazed I can do). Today I’ll probably make some butternut squash soup. I should take pictures, but I probably won’t start until it’s dark and then the pics will be crap (I prefer to use natural light) and I’ll be annoyed. To be perfectly honest, I’m probably only getting around to posting today because I have a paper due tomorrow and I am diligently procrastinating. La de da! A few years ago my friend Nisi got me a copy of I Like You by Amy Sedaris. It’s one of the most perfect gifts I’ve ever been given. I heart Amy Sedaris, and I heart cooking, and I heart weird humor. Perfecto. There are many different recipes in this book and lots of different ideas for party themes and for party food. (Not to mention a recipe contributed by Stephen Colbert! Squee!) One of the items that is usually always included in a party menu is a cheese ball. First reading the book, I’d never seen a homemade cheese ball before. It was one of those weird retro items I’d only seen strangely prepackaged and sad looking, like fruitcake, and it had never occurred to me that a cheese ball could actually be good. You probably know why. You’ve seen the shrink wrapped monstrosities sold in supermarket deli departments and lurking in holiday gift baskets. I decided to try making one for a New Year’s Eve party at a friend’s house, and the lucky cheese ball was Cluster Haven’s Pepper Mill Cheese Ball, chosen because of a friend’s nut allergy. I didn’t want him to be denied the cheese-y delicious. All went exceptionally well, and hey, turns out cheese balls are AMAZING. Since then (NYE 2006) I’ve made the same cheese ball for almost every party I’m invited to. Once I bring it that first time, people request it! Basically, you want to make this cheese ball. It makes you popular and everyone wants you at their parties. In fact, I am doing myself a great disservice by giving you the recipe at all, but it’s a risk I’m willing to take. Because I Like You. The pics in this post are of a cheese ball I made for a Halloween party, so I tried to make it scary. He’s supposed to be some sort of Cthulhu/Octopus hybrid. Mostly he just looks cute. If you want to give you cheese ball a face like I did here, you need some pimiento olives and some carrot shavings. 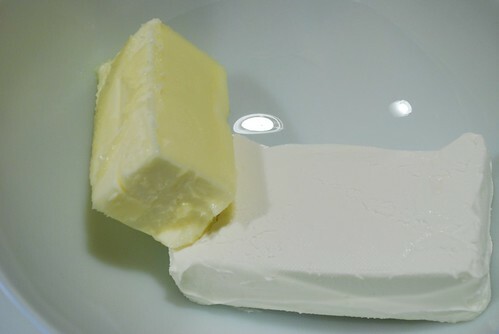 Make sure your butter and cream cheese are at room temperature, or you’re going to hate your life. 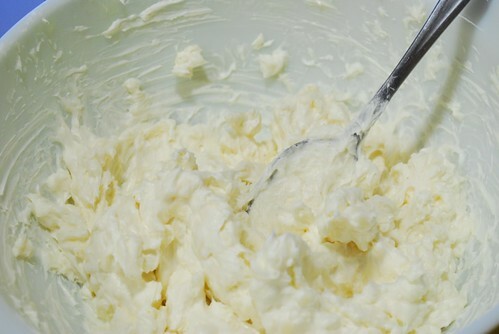 Combine the butter and cream cheese. 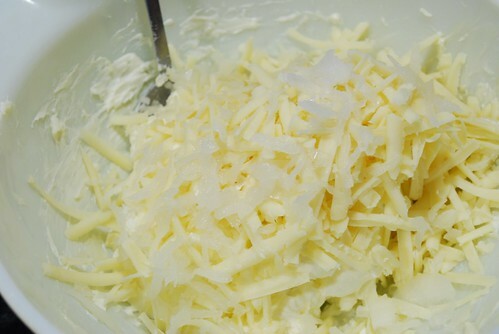 Add the grated cheese and the onion (and garlic, if using). Mix thoroughly. 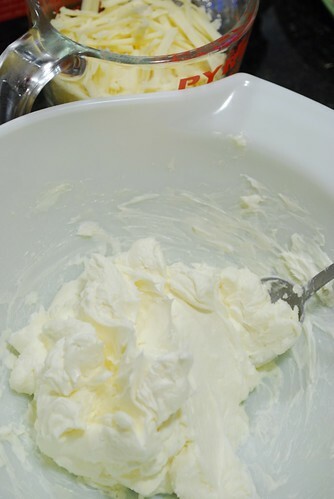 Pop the whole mess back into the fridge to firm up a bit, maybe 20-30 minutes, then take it out and form into a ball. The original recipe says to roll it in the pepper, but that’s never worked exceptionally well for me because I always end up with one side coated in pepper and the other bare. I’ve started just using my regular pepper mill and cracking pepper on one side of the ball, turning, cracking some more, until the whole thing is coated. It really helps if you have someone help you with this, but I live alone and I usually manage so I have faith in you. 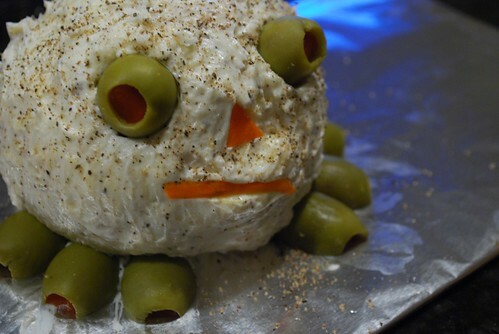 If you want to give your cheese ball a face, use two whole pimiento olives for eyes (I used a teeny knife to make two hollows before I inserted the olives) and three olives for the tentacle things. Cut three olives in half and use three halves for each side of the cheese ball. Then, use carrot shavings for the nose and mouth. 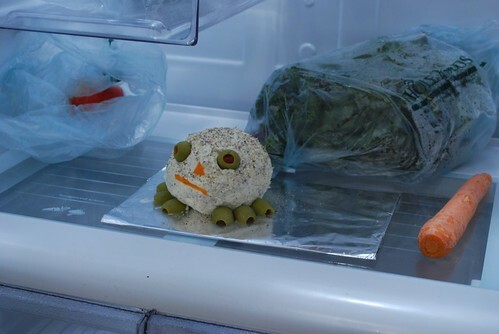 I think he looks hilarious in the fridge. Serve at room temperature with crackers. ← Recipe: Meatloaf&Roasted Potatoes, Dinner Club Edition! HA! What a fun face to encounter when you open the fridge in the middle of the night. Cheese balls…..mmmmmm……makes me want to go to the mall right now and find those holiday cheese/ meat kiosks they have set up. Certainly, not as delicious as this cheese ball, but I’m desperate. I made this cheese ball and it was DELICIOUS. THANK YOU!! Does this mean that you COOKED? (It still counts if there is no fire).